The Readiness Fund is a mission and ministry which will allow Sheridan to meet the need placed before us while also choosing to stay intentionally debt-free. It is based on what the Apostle Paul teaches. The word eagerness in the original Greek is “prothumia” (προθυμία). A second and helpful translation for it is ready. The root infers being inclined to give, and that inclination comes out of a response to God’s blessings. The sense is that we are filled with the Spirit and eager. Zeal and enthusiasm are hallmarks of “prothumia.” Essentially, God’s work on our grateful heart makes us ready to give. The question each of us has to answer is one of inclination. Are you ready? 1. Do creative mission projects both internationally and locally. 2. Continue our rich tradition of capital improvements to our beautiful campus. 3. Repair and maintain our facility as a means by which we honor God. We seek to do these things above and beyond the central funds of mission, namely our general operating budget. The Readiness Fund seeks to do mission that Sheridan couldn’t do in any other way. In October we welcomed Pastor Godrick Lyimo, the Headmaster of Agape Junior Seminary Secondary School. 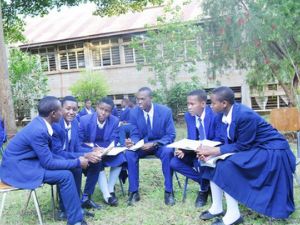 Agape is the strongest academic school in the nation of Tanzania. Pastor Godrick, at the end of his visit, spoke to some Sheridan members of his vision to build a chapel for the community. The plans are set and the vision is cast. All they lack are the funds. Our Readiness Fund will bring this chapel to life through our gift of $50,000. Our sister congregation, Karansi Parish in Tanzania, has made amazing progress. This is where Nuru School is located, a 350 student English Primary school that Sheridan has helped to build. The struggle now is that their students have no place to eat. Meals are prepared in a one-room “cook house” that is 10 ft by 15 ft. It has no running water or electricity, only a fireplace for cooking. Students get their meal and sit on the ground (usually tree roots) to eat. Karansi has proposed to build a new Dining Hall and our Readiness Fund will make this a reality. The $50,000 we will contribute will finish the building and provide the furnishings. You are invited and asked to support the Readiness Fund. 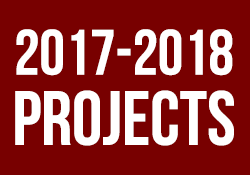 Gifts may be specifically designated or you may choose to support all projects by simply supporting the fund. We trust the Spirit will lead us to hear God’s call and that you will generously respond over time.